Think about the way you find information about products and services. Are you watching TV ads? Listen radio ads? Or consulting a search engine or a friend? Social media is an important marketing channel that help businesses to get found and to engage with potential buyers on the web. With effective Facebook advertising you can fuel your lead generation campaigns. What makes Facebook a unique advertising platform is that it provides one of the most targeted advertising opportunities. In this article we will present a step-by-step guide on how to create killer Facebook ads. Get started. To get started, visit https://www.facebook.com/ads/create/ and choose your destination URL. Once you’ve selected where your ad should link to, decide what you want to accomplish. If you want to direct traffic to your website, what should success look like? Do you want to promote a product? Or maybe you want to send traffic to your Facebook Page. 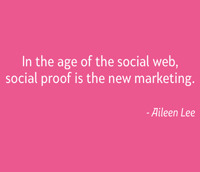 To build your social media presence by driving fans to a Facebook page, select Get More Likes. 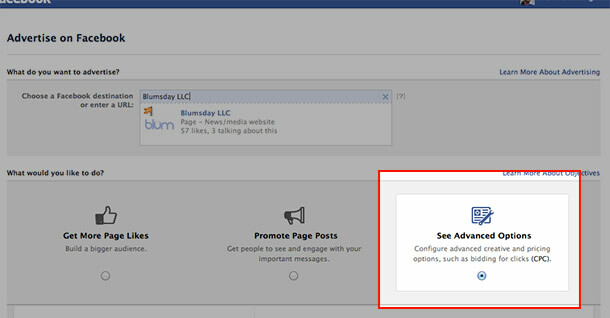 If you want to promote specific content on Facebook such as a blog post, select Promote Page Posts. With Advanced Options you can see all creative and bidding options in one place. When writing your ad text, make sure to explain what you are advertising, the details of your products, services, and offers. Include call-to-action. Images of people tend to convert better than a logo, but you will have to do your own testing. Decide who to target. The second step is to choose your targeting options. Targeting will determine the price for your ad as well as who is eligible to see your ad. Define the budget. For the last step, select a payment type and budget for your ad campaign. Scroll down to the “Pricing” section and click on the “Set a Different Bid (Advanced Mode)” link. This will show you a suggested range of bids that are currently winning the auction among ads similar to yours. Split testing. It’s tough to nail down a successful strategy unless you do some testing. Run multiple ad variations at the same time and use the Ads Manager to determine which ones deliver the best results for your business. Get ideas from the ads board. To get some ideas you can always take a look at all the ads that are currently running and targeting your demographic by going to the Facebook Ad Board. This is a good place to start. Are you using Facebook’s advertising platform to complement your business’ Facebook marketing efforts?